Deal of the Week – 15% Off ESD Lab Coats! 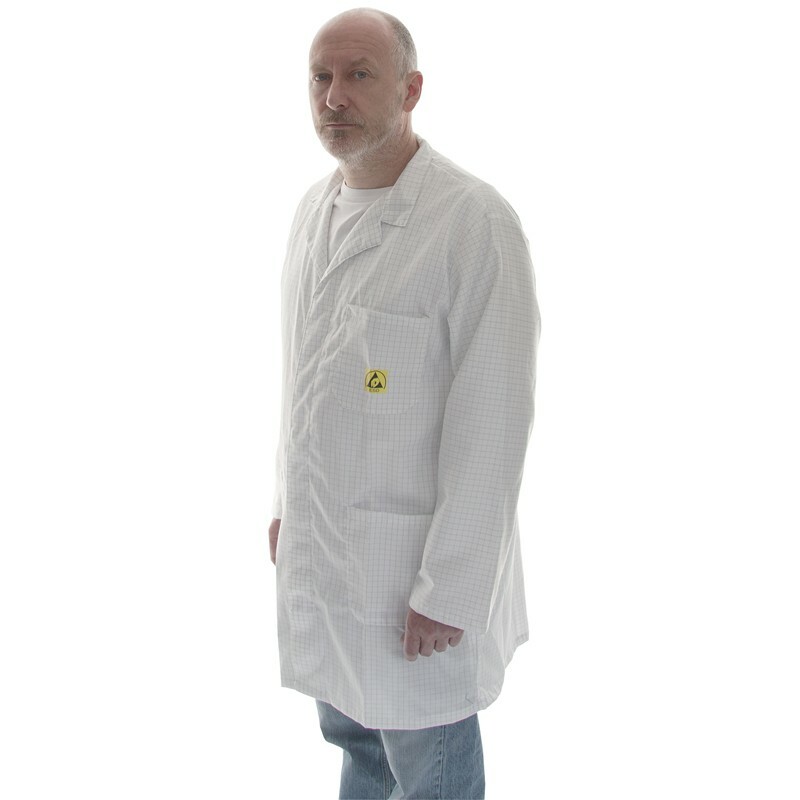 Comfortable ESD dissipative lab coats are ideal for any production environment in which sensitive items (ESDS) are being handled. The coats offer ESD protection using the principle of the Faraday cage shielding ESDS from electrostatic charges on operator’s clothing. The buttons at the front have an overlap which avoids direct contact with parts. International ESD symbol on breast pocket.